The Hangar space covers an area of 1,850 square meters which is sufficient enough to house aircrafts with a span width that does not exceed 35 meters. It has demarcated walkways designed for movement of people in order to avoid interruptions during maintenance. It has sufficient flood lights to enhance night maintenance and spraying of aircrafts. Security is paramount because of surveillance cameras installed and monitored on the premises. 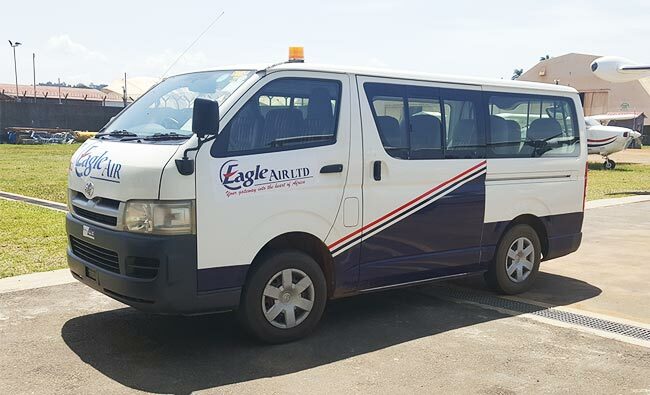 Eagle Air Limited AMO provides maintenance support within its scope ie PT6A Series Engine, BE-1900 Series, M610 Series Engine, PA34- 220T Series, L410UVP Series aircrafts and others. 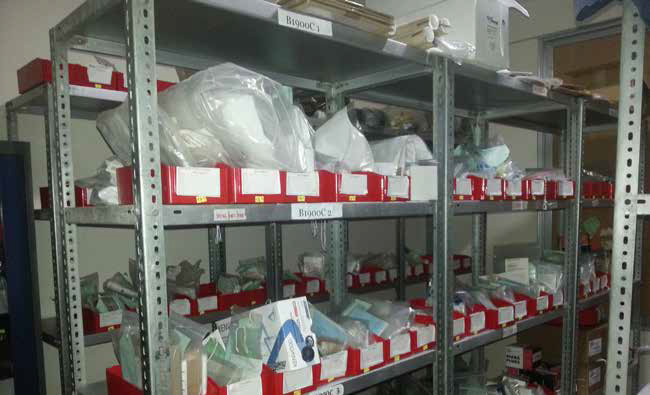 Standard containers of 20 feet and 40 feet are available for storage of cargo and spare parts. The space can accommodate all Aircrafts and it is available on booking. 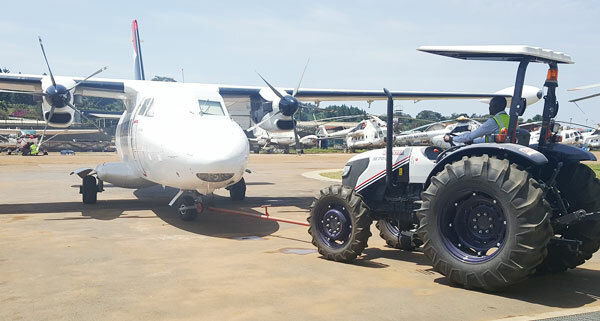 Our high efficient tractor driven by our skilled drivers with Airport driving permits are willing and ready to serve you. We wash aircrafts on request by clients at a negotiable fee. The Hangar provides storage spaces with direct access to the maintenance area for bonded stores and quarantine. This space is approximately 440 square meters. All modifications to these spaces can be sought for and are acceptable. 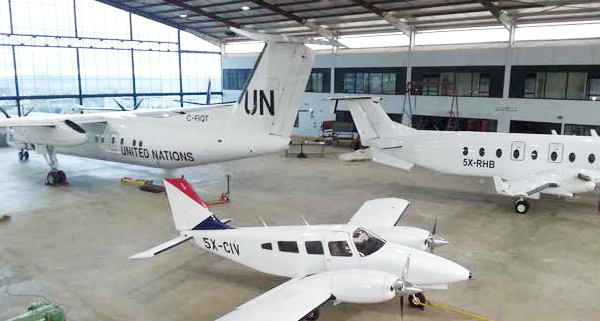 Our facility is well equipped with wellmaintained/ serviced tools/equipment to facilitate aircraft maintenance. 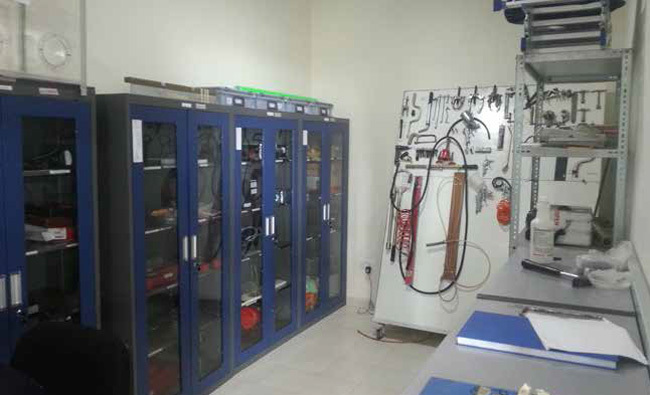 The tools/ equipment also include; a hydraulic lift platform, a pneumatic Compressor, weighing scales and the aircraft engine hoist.